Randy was instrumental in building the success that Colorado fire fighters have fought so hard for over many years. Randy unselfishly dedicated his entire life to protecting the profession that he felt so strongly for and worked tirelessly to protect Colorado’s bravest. 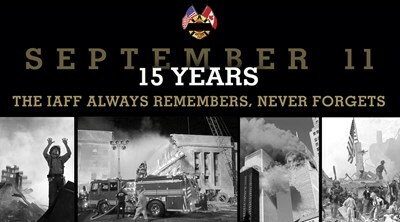 Without his dedication and determination the fire fighters in Colorado would not have achieved the level of respect and safety that they now enjoy. On a personal note I can say he was my mentor. He was able to combine the warm personality of a fire fighter with an incredible intelligence that made him second to none. His character and wit propelled him to be incredibly well respected in the labor movement as a great leader and a staunch protector of our proud profession. 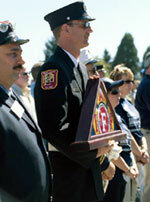 Randy Atkinson is the cornerstone of all that embodies Colorado Professional Fire Fighters. I am proud to call him my friend. Our thoughts and prayers are extended to everyone who was touched by Randy’s life. Details for services will follow when available. Local 3214 is filling the Boot! Thanks to everyone helping Fill the Boot this year and for everyone donating to this great cause!